It sounds like Corey “Philly” Brown is headed to Denver. The wide receiver is set for a physical examination with the Broncos tomorrow, reports Mike Klis of 9News.com. 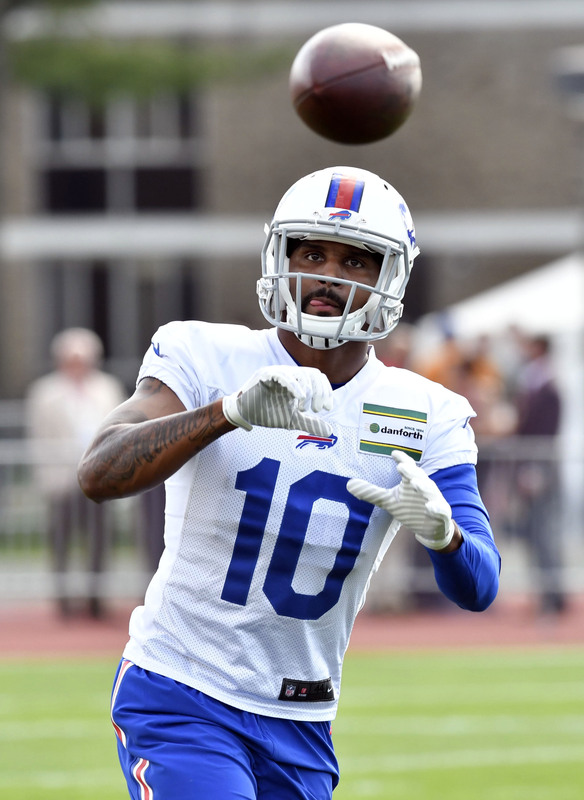 Assuming everything goes well, it’s expected that the wideout will be on the squad when the team hits the field for its first training camp practice this weekend. The former Ohio State star had three solid seasons with the Panthers despite going undrafted in the 2014 draft. He had his best season in 2015, hauling in 31 receptions for 447 yards and four scores. After appearing in a career-high 16 games during the 2016 campaign, he signed a one-year deal with the Bills last offseason. However, he didn’t end up seeing the field for Buffalo before being released in October. While he had workouts with several teams, he ended up sitting out the entire 2017 season. Now, he’ll be looking to rebound with the a Broncos squad that’s looking for some depth behind Demaryius Thomas, Emmanuel Sanders, and second-rounder Courtland Sutton. The team placed a pair of receivers, Carlos Henderson and Jimmy Williams, on the reserve/did not report list yesterday. While Henderson is expected to eventually report to camp, Williams is considering retirement. The team already added Mark Chapman, and they’re also rostering DaeSean Hamilton, Jordan Taylor, Isaiah McKenzie, River Cracraft, Jordan Leslie, and Kenny Bell.